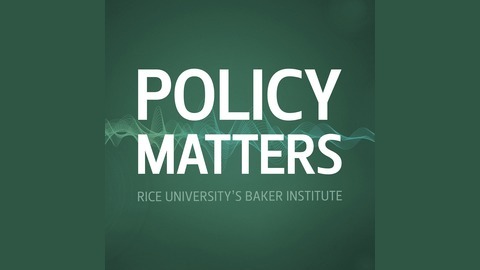 Policy ideas and perspectives from Rice University’s Baker Institute for Public Policy – one of the nation’s leading think tanks. How Can We Improve the Safety of Petrochemical Plants? On March 17, a fire broke out at a petrochemical storage plant in Deer Park, Texas, near Houston. Then, two weeks later, there was yet another chemical fire at a facility near Houston, this time in Crosby. What do these incidents tell us about the safety of petrochemical facilities? What can be done to improve their safety? Our guest this episode is Dr. Rachel A. Meidl. 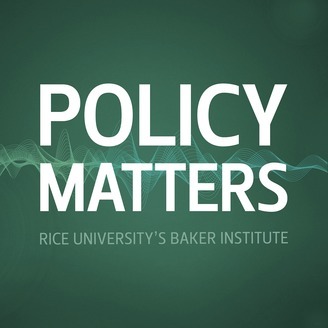 She is a fellow in energy and environment at Rice University’s Baker Institute for Public Policy. Before joining the Baker Institute, Dr. Meidl served as deputy associate administrator for the U.S. Department of Transportation’s Pipeline and Hazardous Materials Safety Administration. Should we be worried about the rise of Huawei? Has the United States Reached a Turning Point on Liberalization of Marijuana Laws? Mexico’s Energy Policy under President Andrés Manuel López Obrador.